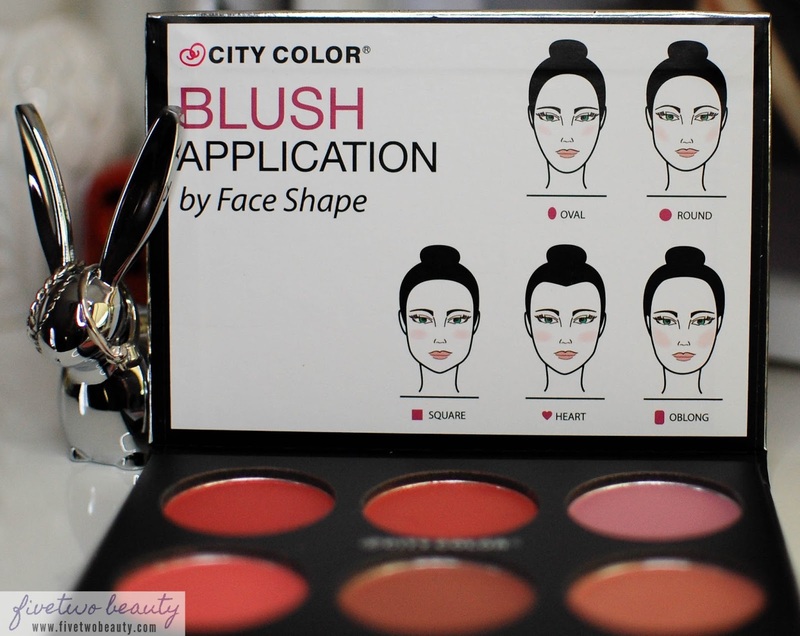 Glow-Pro Blush Palette from CityColor Cosmetics! Dazzling and City Chic collections! Just a heads up! This is a picture-heavy post with a short product description plus my own thoughts. 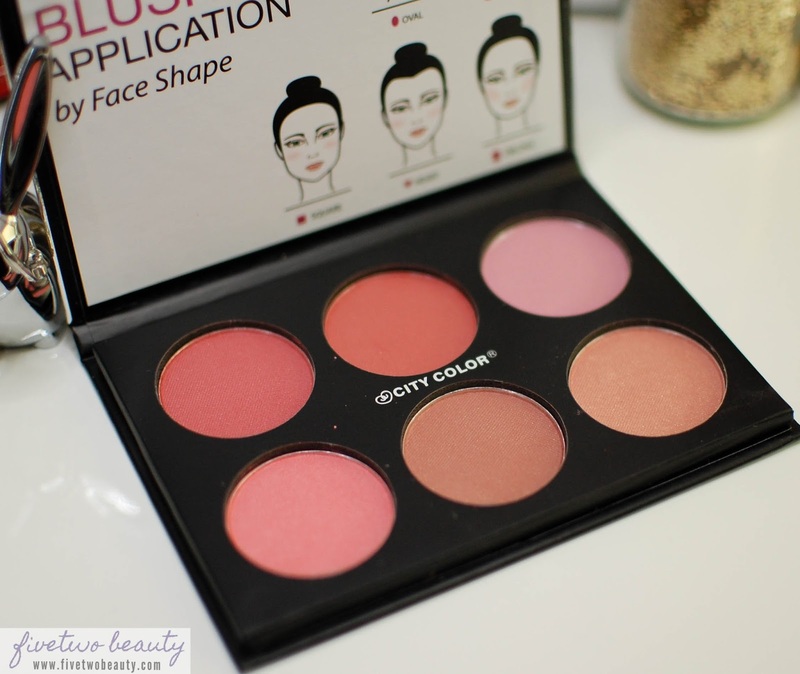 It has 6 different blush shades in this travel-friendly sleek packaging with magnetic closure palette. 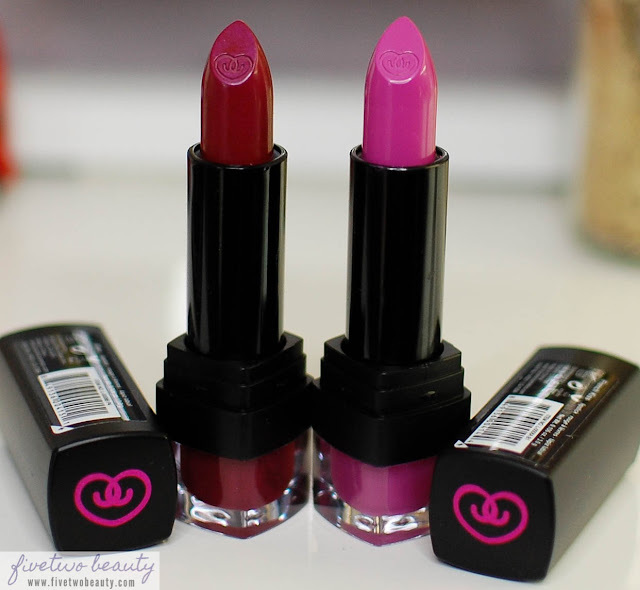 Available in two collections, Matte or Shimmer Collection. The one pictured below is the Shimmer Collection palette. 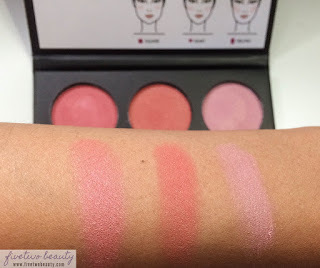 These are very pigmented, finely milled powder blushes. Only a light dab on the pan to get that color on the cheeks. Instead of a mirror on the other side of the packaging, a helpful "Blush Application by Face Shape" face sheet is placed. The shimmer in this collection isn't very obvious on the cheeks. I like to mix and match two shades, pinkier tone on the apple of the cheeks, and the more neutral tone towards the hairline. 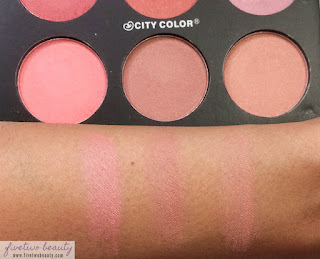 This is a very affordable palette and if you don't have any blushes at all and you're on a budget, this is a nice way to start and try on different blush shades. 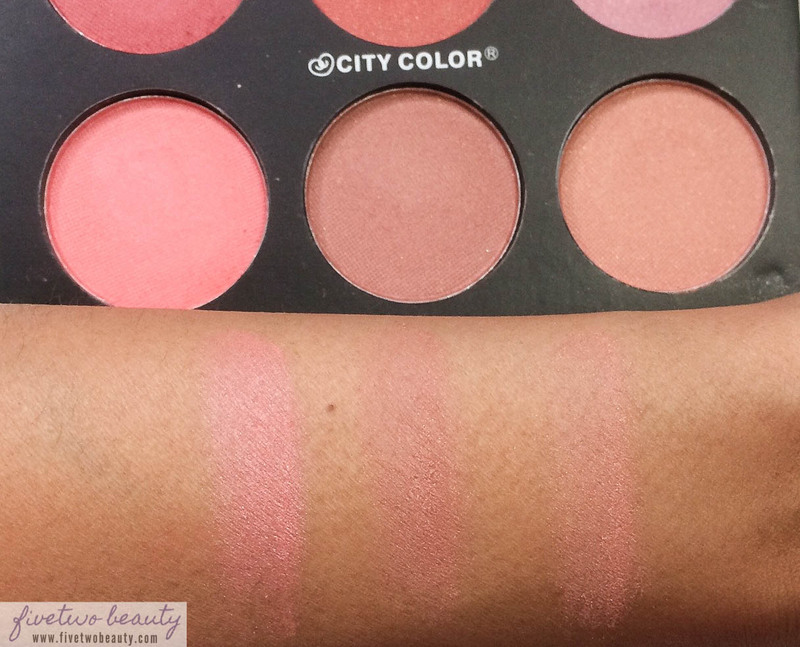 Available in 6 shades that are creamy and very pigmented with a light shimmery finish. 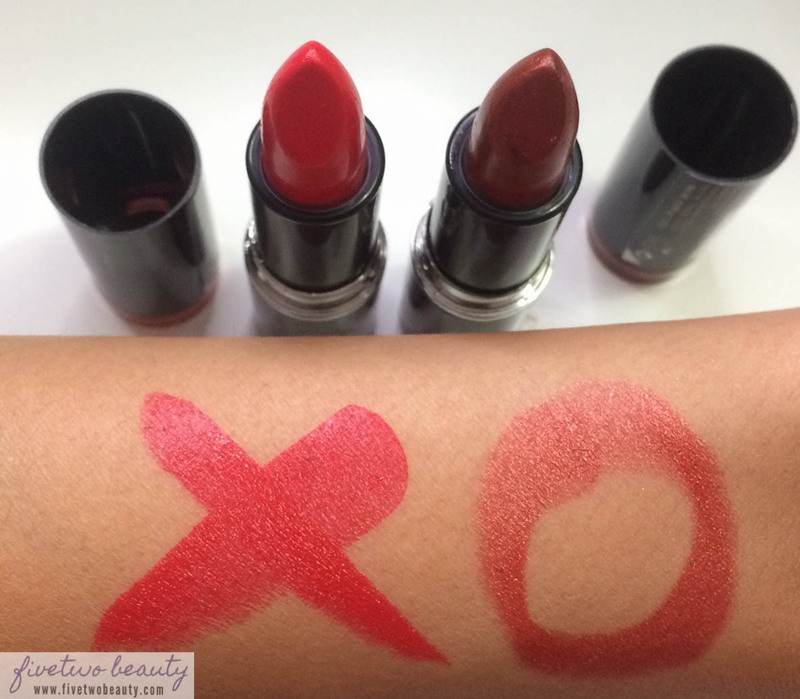 These lipsticks are so creamy it is so easy to apply on the lips without using a lipliner. The shades are true to color. The packaging on these have their shades shown on top of the cover of the tube so it's easy to find the shade you are looking for. Available in 30 ultra-creamy, very pigmented shades. They are very true to the color shown on the tube. The shades can also be seen in the bottom of the tube. These are very long lasting with just a little touch up after drinking or eating. It leaves a nice shine and has kept my lips moisturized as well. 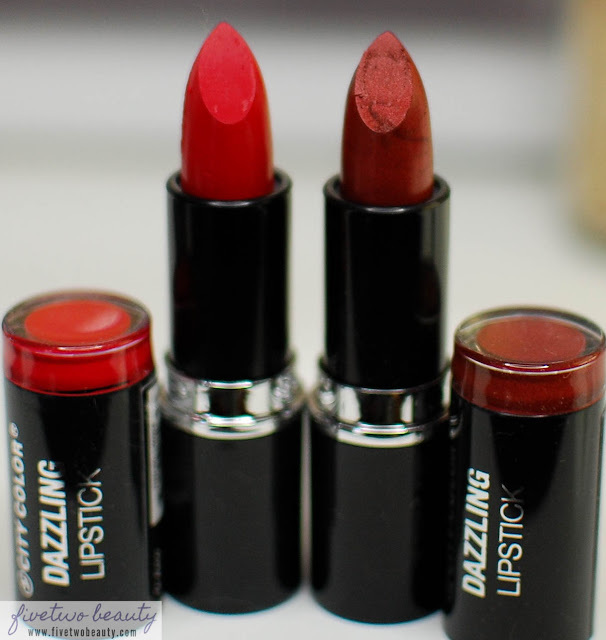 Both lipstick collections are very creamy and moisturizing on the lips. 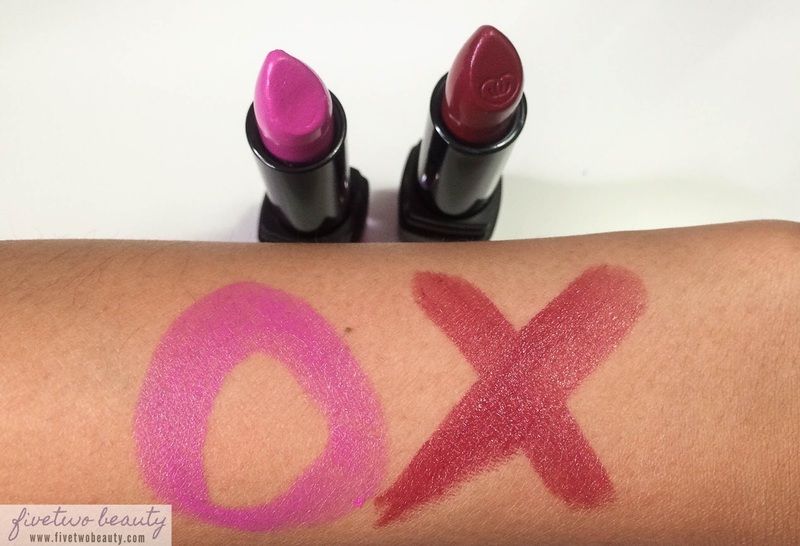 The color is very pigmented and very true to what you see in the tube. I love how I can easily see the color from the packaging as well. City Chic lipstick in French Kiss is my favorite, this shade will be beautiful to wear in the Fall, but I don't mind wearing it all year! 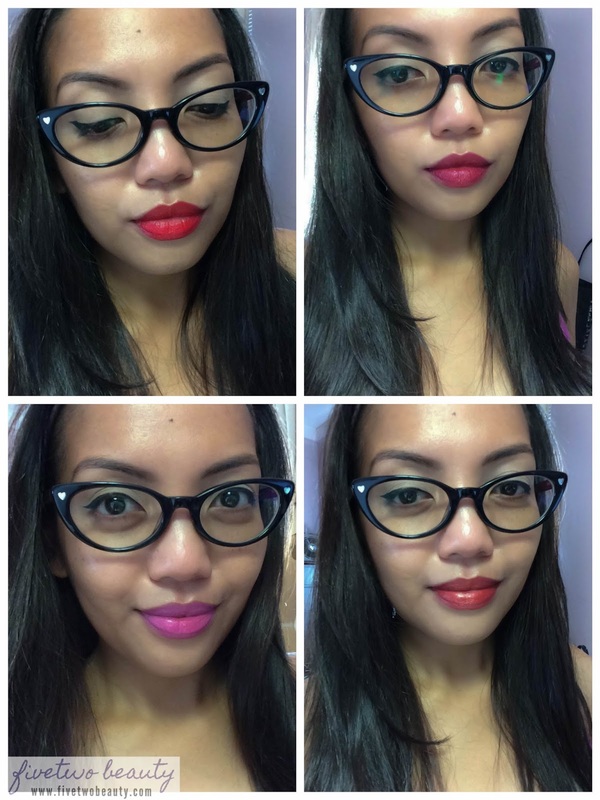 With minimal makeup on, these lipsticks give my face a nice pop of color which I like to do in the Summer or on lazy days or I'm-running-late days. 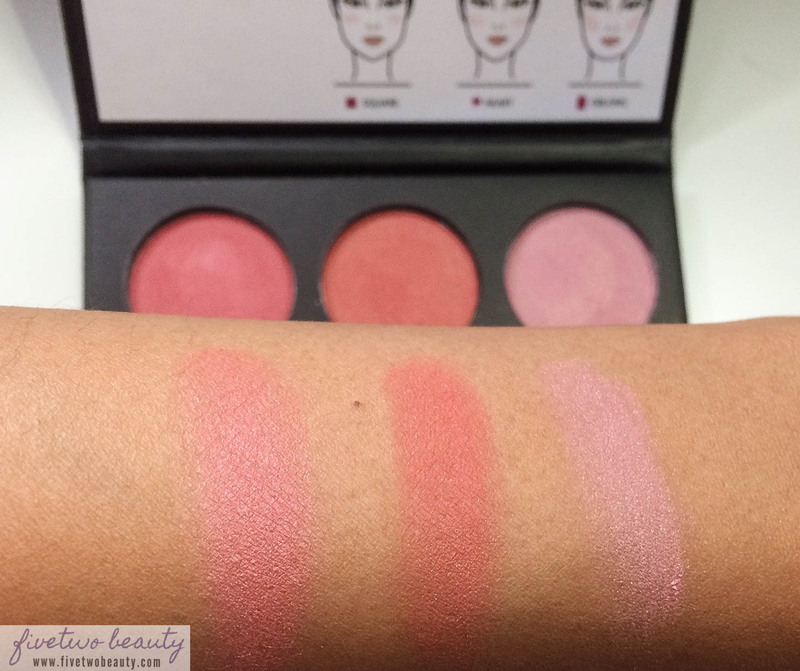 The blush palette has very neutral shades that can be worn for your everyday look or layer them up for the night. 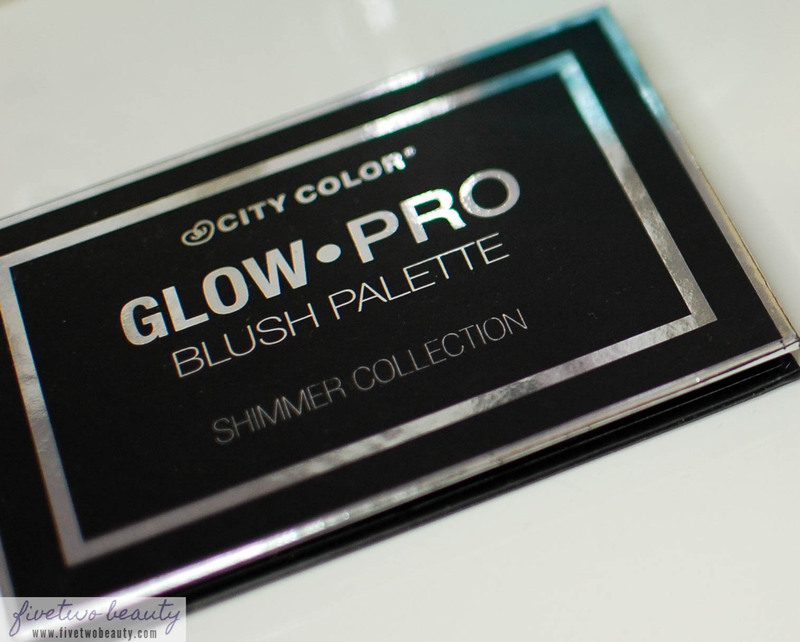 The shimmer is very subtle on the cheeks, it really just gives some nice glow on the skin. to get a 10% discount on your purchase! 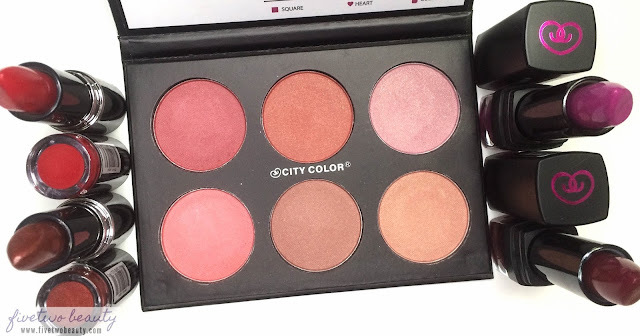 *I am a CityColor Cosmetics Affiliate and these products were sent to me for review. All opinions stated on this post are 100% mine. Please see the Disclosure Policy tab for the full blog disclosure. If you're looking for a solid contextual advertising network, I suggest that you take a peek at ExoClick.